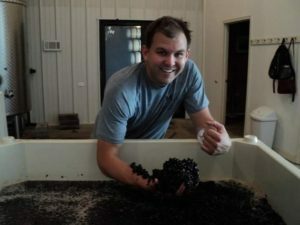 Kirk Wiles, co-founder of Paradise Springs Winery, the first bi-coastal winery in the country is joining me in Crystal Palate’s Wine Country on this episode. What started as a small operation in quaint Clifton, Virginia a decade ago has expanded to a second operation across the country in Santa Barbara, California. From coast to coast, Paradise Springs is taking advantage of the unique growing conditions and terroir in both locations. Kirk shares the vast history of the Virginia property and how he his bringing a taste of the Commonwealth to his tasting room in Santa Barbara. Listen to the show here and catch a new show every Saturday morning at 8:30 on Cville 107.5 and 1260 WCHV. Download the Tune in app and search for WCHV to listen live nationwide. 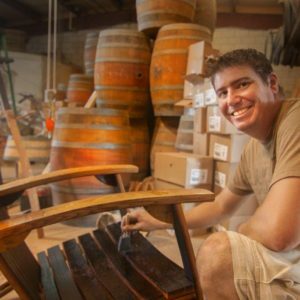 Plus, the holidays are right around the corner and Mike Prieto with Barrel-Art will be stopping by to share some great ideas for unique gifts for the wine lover in your life. 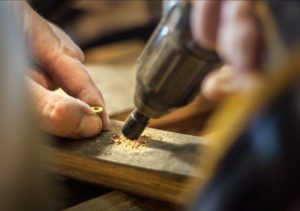 You’ll find everything from custom-made adirondack chairs, personalized Lazy Susan barrel heads, riddling racks from Champagne and even wine barrel beds for your precious pooch. Mike also shares how a devastating incident several years ago would later give root to this thriving business. My interview with Mike starts at 16:50. Read more about Barrel-Art in a recent article I wrote for hrScene.com.